Make this quick and easy tilapia recipe that your entire family will like. This baked and broiled tilapia recipe is delicious and perfect for low carb healthy diet. 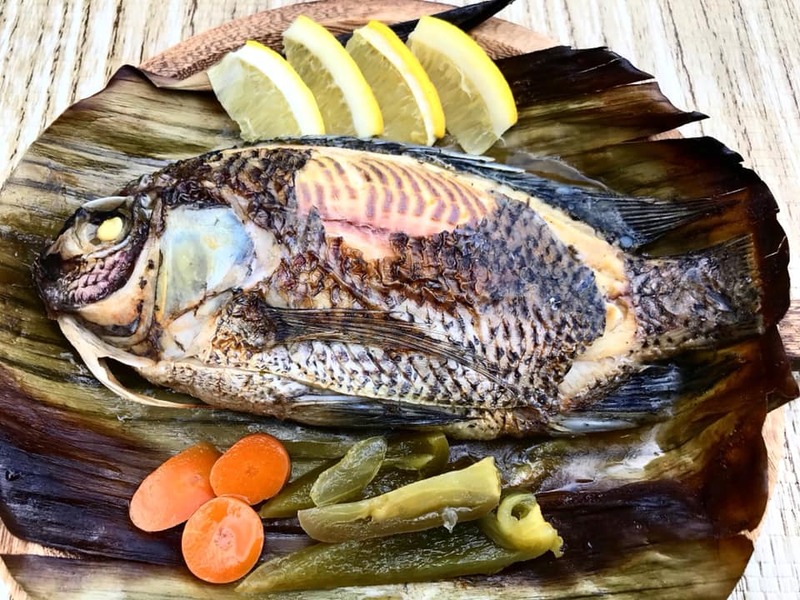 The tilapia is cleaned well and stuffed with chopped tomato, onion and cilantro and flavored fish sauce and ground pepper. 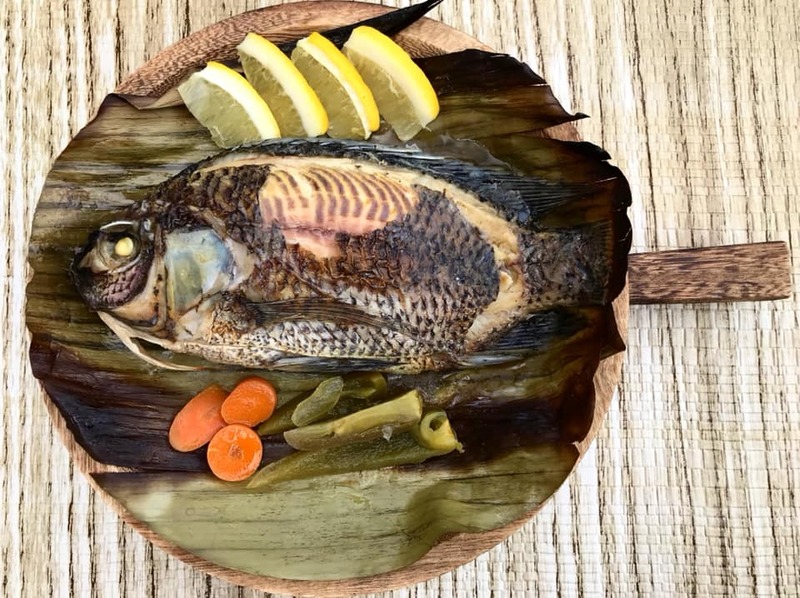 Learn how to make delicious baked tilapia using simple ingredients below. If oven is not available you can use turbo broiler or grill in charcoal. In a small bowl, combine chopped onions, tomato and cilantro. Stir. Add fish sauce and ground pepper. Stir. Prepare a wide piece of aluminum foil. Top the aluminum foil with wilted banana leaves. 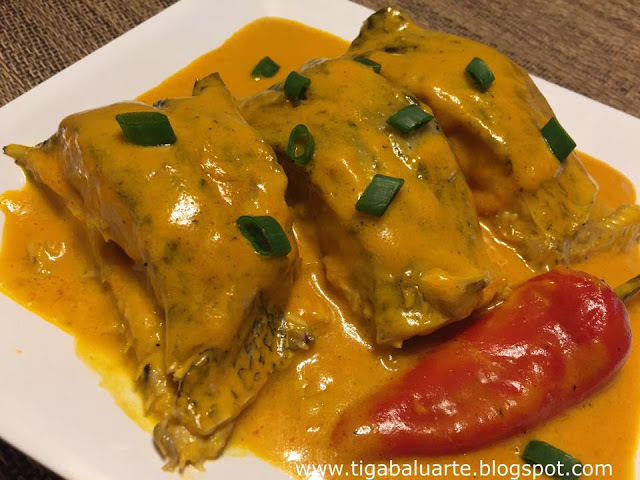 Stuff the inside of tilapia with 3 to 5 tablespoon of tomato-onions mixture. 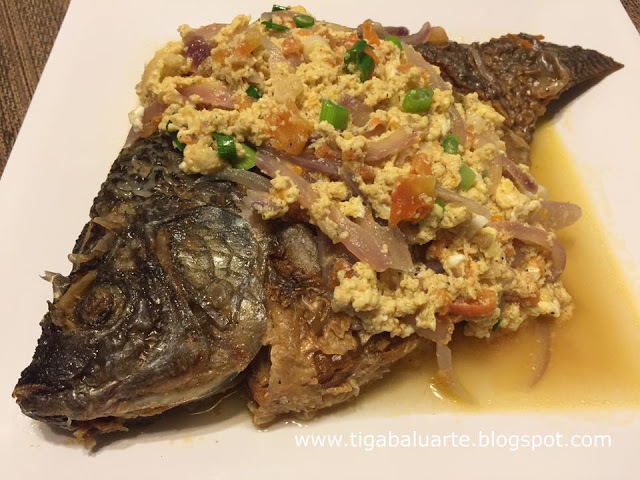 Brush the outer part of the tilapia with remaining fish sauce juice from the tomato-onion mixture. Place individual stuffed tilapia over the banana leaves. Wrap and fold ends. Wrapped the stuffed tilapia wrapped in banana leaves with aluminum foil. Fold ends. Place the wrapped tilapia in wide baking pan and place in the center of oven. Bake for about 45 minutes or until tilapia is fully cooked. Remove baked tilapia from the oven and change the oven setting to broil. 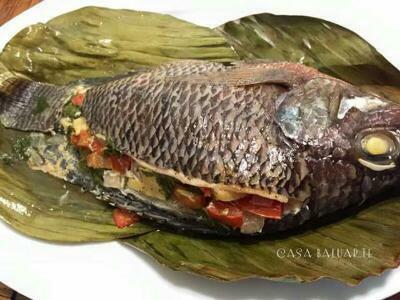 Remove the top part of the aluminum foil and banana leaves exposing the tilapia. Return the tilapia to the oven and broil for about 5 minutes until golden brown. Remove from the oven and serve hot. Serve with spicy vinegar dip and enjoy.